Field partner Pencils for Kids has just returned from Niger, West Africa where they helped OSM spread some monkey magic to the young women of Libore. 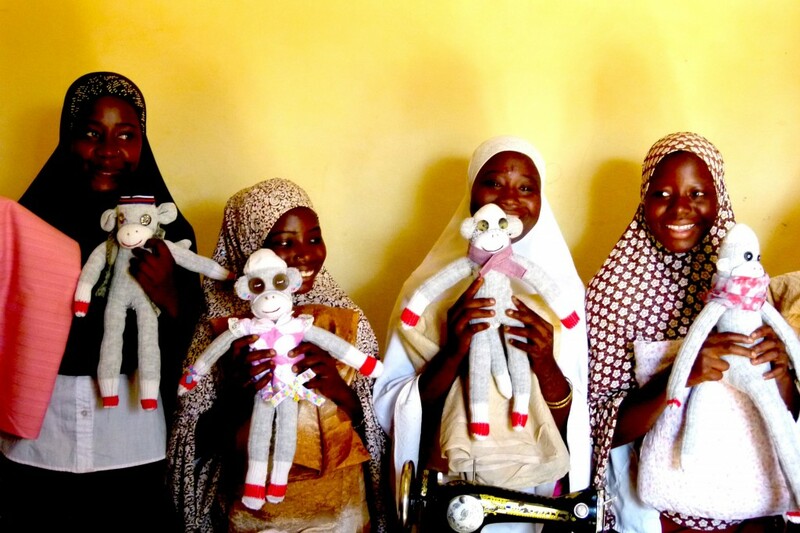 Sock Monkey delegates created by youth craftivists in the GTA were given to girls training to be seamstresses at the Cooper Sewing School, an education and resource centre providing vital vocational training for Nigerien youth. 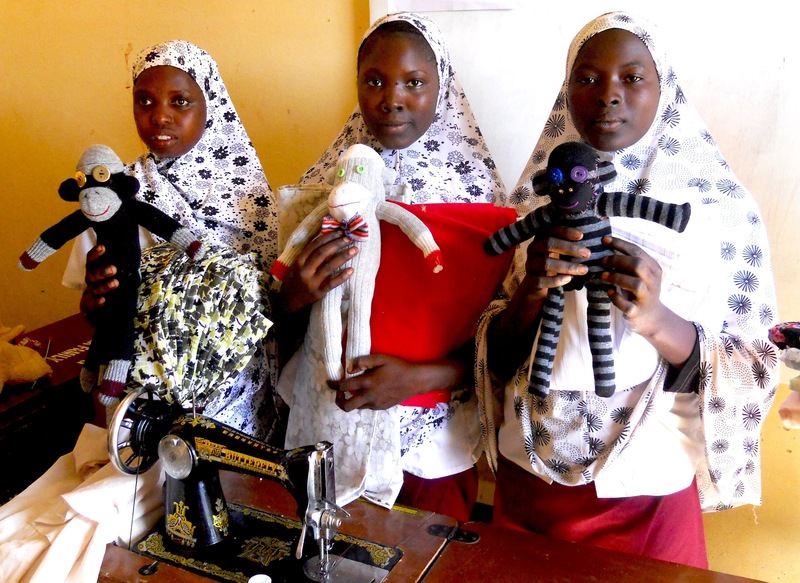 This delegation will act as ‘monkey models’ to inspire the seamstresses in making their own sock monkeys. It is the goal of this partnership that the students at the Cooper sewing centre learn the craft of sock monkey, with the hope that they may be able to produce sock monkeys to sell them in their sewing store for profit. This business model has been successful with Operatives at Woza Moya HIV/AIDs resource centre in South Africa and is getting underway at Shanti Sewing Centre in Delhi, India. Big Thanks to Emilie Fish of Calgary for translating the sock monkey-making instructions into french and to the students of Humberside Collegiate in Toronto, Bur Oak Secondary School in Markham, Elmwood school in Ottawa, the family & friends of Molly Long in Toronto and participants in the Sock Monkey Workshop for Teens at the Annette Street Library in the Junction, Toronto for creating the sock monkeys for this mission.